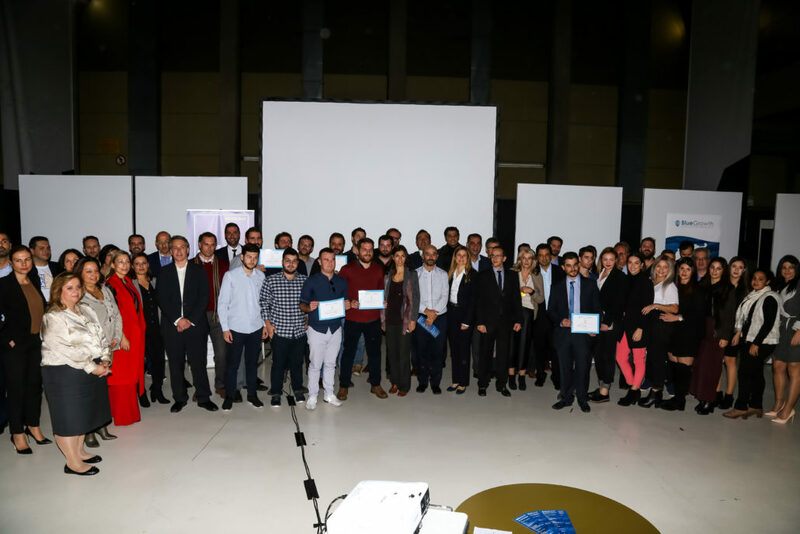 Innovation and digitization were the focus of the 5th marine challenge/startup competition “Blue Growth V” that was held on Monday, December 3, 2018 at the main stage of the iconic Municipal Theatre of Piraeus. Young entrepreneurs presented their concepts along with implementation strategy that combine both the business growth and the promotion of our country’s blue economy. 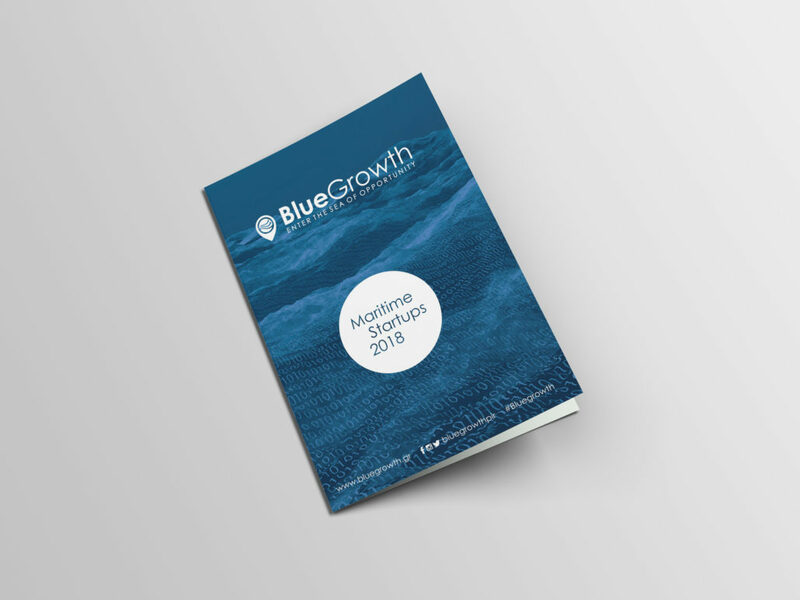 Since 2014, BlueGrowth has reached measurable results, as 41 promising maritime start-ups distinguished from the previous BlueGrowth Competitions and 26 of them are now successful companies. Via our website fishingtrips.gr people from all over the world are able to book and experience an excursion of fishing tourism, which includes spectating the fisherman, being taught by him and cooking their produce on the spot. Two of Greece’s prospering sectors are tourism and fishing. In most parts of the world with a fishing industry, there’s the concept of fishing tourism. However, in Greece there was no legal background to support it. Recently, we got the chance to invest in this sector and make it flourish. This kind of industry has the potential of greatly succeeding especially in Greece, due to its unique advantages. Having the longest shoreline in Europe, the largest low-scale fishing fleet, the Mediterranean climate and the ancient fishing lineage, can establish Greece the leading country in fishing tourism. The nature of fishing and the mild weather around the year make possible to escape the conventional tourist season and enlarge it significantly (fishermen can work from March to November). Fishing tourism, already, is very successful all around the world, appealing to tourists of multicultural backgrounds and creating the desire to experience it the traditional greek way. Moreover, after reaching out to fishermen all around Greece, mainly the Aegean islands, and discussing the financial and cultural opportunities they can be given, we are co-operating with a number of them. With the extra income the fishermen get, they can focus less on the quantity of the fish they catch and more on the quality of their job, this will directly enrich the fishing stocks of Greece, which has been an issue of the fishing communities for years. Even though our website fishingtrips.gr is in need of refurbishing and modernization, it gets a lot of traffic and a great part of tourists book their fishing excursions before planning the rest of their vacation. Second Prize: Sentinel, is a platform designed to solve one of the major issues the shipping industry is facing on the road to digitalization: How to provision, aggregate and process high fidelity data from vessels and distribute them to the relative stakeholders. It utilizes a completely different approach to the current way of handling vessel generated data, by providing an edge computing platform coupled with a federated architecture. The aim is to “democratize” access to vessel data and make it easy for 3rd parties to develop applications using their domain expertise in various fields of the shipping industry. Third Prize: pculiar.com is a travel experience platform focusing on local traditional events and rare customs, with a particular historical and cultural interest. We focus on visitors in Europe and especially the Balkan countries, but our content appeals to any traveller seeking for original and off-the-beaten-path inspiration for a new adventure. Our passion is to organise experiences based on the events that we feature on pculiar.com and offer very unique and professionally prepared cultural trips to travel and photography enthusiasts. Fourth prize: Myskipper is a marketplace for Skippers. Professional skippers will have an online profile, where they would put information about their yachting skills and experiences and they can also interact with each other. Any client that wants to rent a yacht will have the opportunity to choose his own skipper and have the chance to know him and prepare the journey together, before leaving for the trip. The service will offer additional services such as trip suggestions and acquiring goods before leaving. Meton Innovatence Ltd has designed and developed the Enorasys camera, which is a thermal vision infrared camera that can record real time video without the need to use a dedicated screen for imaging since it uses an integrated circuit to transmit the image wirelessly in real time to a smartphone, tablet or laptop. Moreover, the Enorasys camera does not require an external power supply since a rechargeable power pack is integrated using a standard wire and power plug for recharging as required and, does not require a permanent installation since it uses a standard action camera mount. Such a camera type and can be used on any type of air, sea and land vehicles including had-held operation for safer navigation and/or surveillance during night, bad weather, or poor visibility conditions and comes with a fraction of the cost of the current permanently installed infrared systems. Sixth Prize: Seaview is a mapping system of bays, gulfs, marinas docks and natural harbors. With the help of Panoramic and 360 photos, the user could “navigate” virtually, in order to know and be prepared before reaching a port etc. He could add any new information and rate the conditions of the place he visits and he could also interact with other users. Consistent maritime surveillance for detecting illegal activities in the oceans remains an open problem: piracy, smuggling, pollution, and illegal fishing are only some of the activities involving rogue vessels that are taking place every day in the vast open seas.The Automatic Identification System (AIS) mainly used for maritime surveillance, beyond its range limitation, is a co-operative system; hence, rogue actors can always switch off their onboard AIS transponder, or even spoof it, thus becoming “dark” ships. Utilizing state of the art Artificial Intelligence tools and techniques, SatShipAI provides ship information like type classification and size estimation from wide-range satellite imaging, starting from the open & freely available Sentinel-1 data. Such functionality is missing from existing systems, and it can be used to enhance & complement the maritime surveillance capabilities currently provided by AIS and similar solutions. So, if you are after illegal fishing vessels, smuggling cargo ships, or tankers violating sanctions & embargoes, SatShipAI offers a complementary tool for detecting & tracking your targets in wide-range satellite imaging, operating on data for which no additional acquisition cost is required. Our integrated system aims to reduce loss of fishing nets by notifying the fishermans for sudden changes of the force applied to the nets ,therefore reducing the annual expenses. In that way we also eliminate sea pollution by 20-25% of plastic sea pollution. In addition our system is able to estimate the amount of catched fishes and display it in real time on a screen. From this document’s pages you shall be introduced to this year’s maritime startups while also meeting our Alumni startups from previous years which are now established companies, together with a detailed agenda of “The Final Pitch – BG IV Emerging Piraeus Maritime Startups” and the members of the BG Project Team. 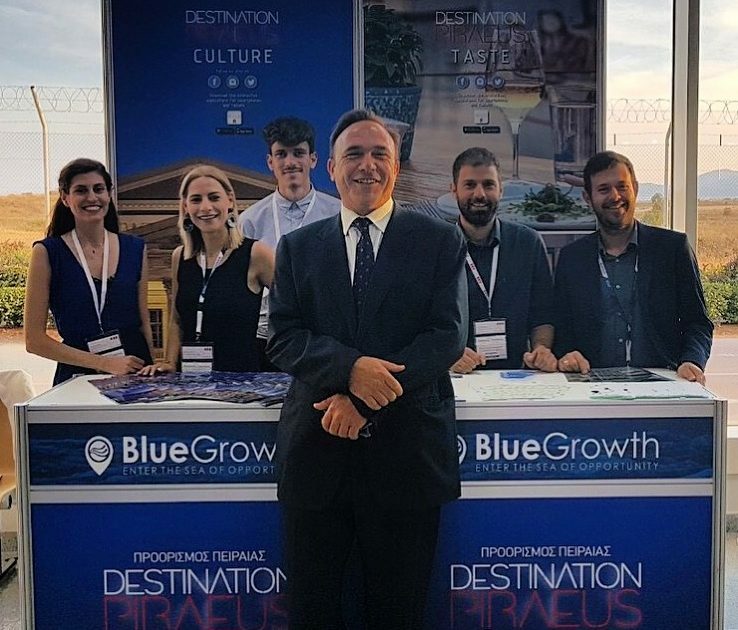 A huge thank you to all for attending the BlueGrowth Piraeus event, Final Pitch – “BG IV Emerging Piraeus Maritime Startups” at Posidonia 2018. The BlueGrowth Team is especially proud of all the Startups that presented their ideas and we strongly believe that the future holds many more great achievements for them…. We would also like to thank all of you who attended,for creating such a warm atmosphere and filling the room with such vibrant energy! Theattendance list is the strongest proof that the BlueGrowth Initiative has matured and evolved on every level. Special thanks to our inspirational hosts George Alexandratos and Nikolas Theodorou for their uplifting presentations and for making us all feel so welcome! Also, a big thanks to our Sponsors and Supporters, especially to ΔήμοςΠειραιά – Municipality of Piraeus and Aephoria.net. Without their support, none of the above would have been possible. Congratulations to Mr Thodoris Vokos for organizing and executing Posidonia 2018, the most popular shipping event globally. Last but definitely not least, we are ready to embark on yet another journey! In a few days BlueGrowth Piraeus is pleased to announce our call for the 5thBlueGrowth Competition – BG V! http://www.bluegrowth.gr/wp-content/uploads/2018/07/IMG_5264.jpg 3456 5184 Stamatia Giasirani http://bluegrowth.frogontheroad.gr/wp-content/uploads/2016/12/bg-logo-340.png Stamatia Giasirani2018-07-03 14:19:122018-07-03 14:19:43BlueGrowth Piraeus event, Final Pitch – “BG IV Emerging Piraeus Maritime Startups” at Posidonia 2018. 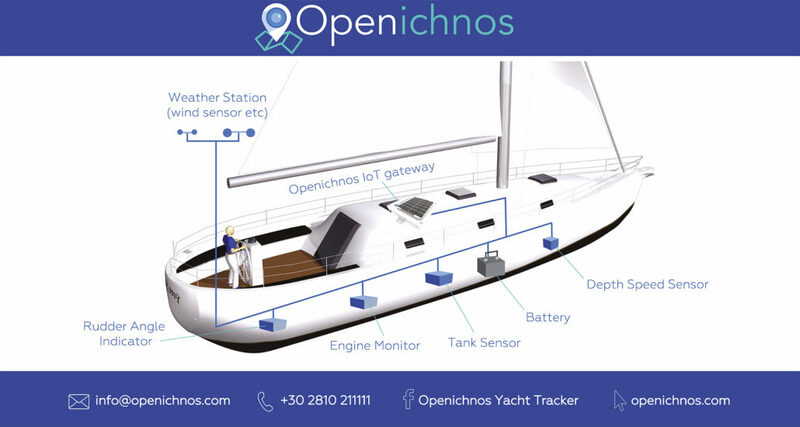 Openichnos, focusing on the integration of IoT management, introduces “The Connected Yacht” approach. Openichnos can now apply features and a group of sensors connected with the tracking device, aiming at providing a fully monitoring solution. The adoption of sensors which can provide information about battery, fuel and weather conditions are of great interest in all aspects of transportation sector. Moreover, our team can provide an extension specifically for the niche market, adopting underwater sensors which can detect collisions and can be a valuable information in case of damage disputes. 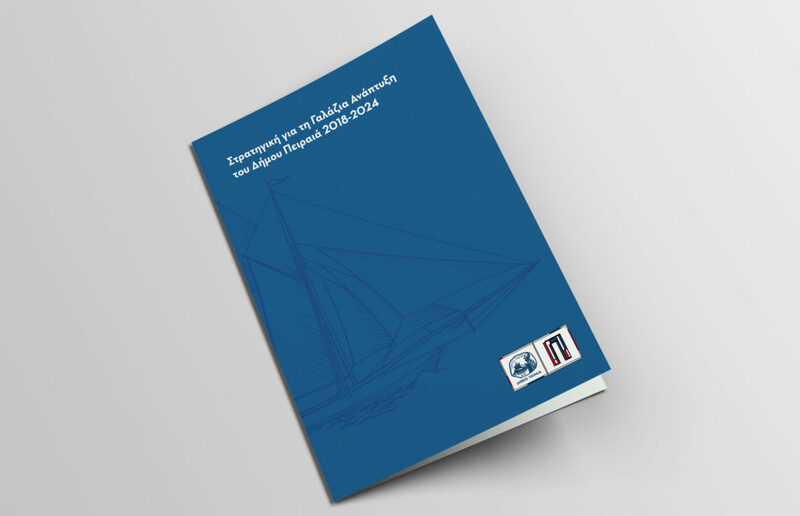 The Blue Growth Strategy of the Municipality of Piraeus is a strategic document covering economic, social and environmental issues in relation to Blue Growth and the Blue Economy, while at the same time presenting an integrated planning and action plan for the development of the city of Piraeus as an innovative, competitive and resilient Blue Economy hub with an international focus and reach. The Municipality of Piraeus is the first Municipality in Greece that has developed a Strategic Plan for Blue Development, based on the guidelines of the national and supranational framework. The aim of the Strategy is to facilitate the further development of the Blue Economy in the city, reinforcing its role as a driving force for the growth of the Greek economy and contributing to the establishment of Piraeus and Greece among the world’s leading forces in the field of Blue Growth. It is noted that in Europe, the importance of Blue Economy for economic growth and job creation is particularly important, while it is also recognized that seas and oceans are levers of the European economy with great potential for innovation and growth. In this context, the European Strategy for Blue Growth has set itself the objective of promoting smart, sustainable and integrated growth and employment opportunities in the European marine and maritime economy. • A place with numerous and vast opportunities, where two important points of the global value chain meet: Greek shipping and the new road of silk, One Belt-One Road (OBOR). In this constantly evolving environment and by exploiting the development potential of Piraeus, the Municipality has developed the Strategy for Blue Growth, with the hope of offering a useful tool and a common frame of reference for the business community and society of the city of Piraeus. Therefore, we invite you to honor us with your presence at this event and we are look forward to discussing your views on the emerging prospects for Piraeus in relation to the Blue Economy. This specific Strategy aims at further developing Blue Economy in the city, strengthening its role as a driving keystone for the development of the Greek economy and contributing to the establishment of Piraeus and Greece as top forces in the world, in the area of Blue Growth. It exemplifies an integrated framework for planning and actions for the development of the city as an innovative, competitive and resilient node of the Blue Economy, with international orientation and range. Inspiration and innovation were the focus of the 4th “Blue Growth IV” Marine Economy Startup Competition was held on Wednesday, 4th of December 2017 at Destination Papastratos ,in an incentive environment thriving with innovative and brilliant ideas. Young entrepreneurs presented their concepts along with implementation ways that combine business growth with the promotion of our country’s blue economy. Seven out of the sixteen participating teams which presented their blue economy ideas were awarded during the event which was jointly organized by sustainable-business education and incubation program aephoria.net Also , Apart from the 7 winning teams of BGIV there are still 9 winning teams of Piraeus Maritime Hackathon , BG Patras, Aegean BlueGrowth at Chios Island and BlueHackathon. Fisrst Prize: Ferryhopper is a newly launched online ferry booking platform that brings island-hopping around Greece to your fingertips. Our modern and innovative platform presents you with every available direct and indirect connection to over 160 Greek islands and major ports. Through Ferryhopper, you can plan your ferry trip effortlessly, book your ticket quickly, compare prices instantly, secure the cheapest fare, and start hopping! Ferryhopper is the first –and only– booking platform that provides the user with indirect connections and routes to other destinations and makes ferry travelling in Greece easy and simple. Moreover, the island-hopping option allows the traveler to book multiple tickets in a single shot and plan their hopping around the islands without stress. Through novel ideas such as integration of e-ticket services and a simple and upgraded user experience Ferryhopper provides a complete and novel ferry traveling solution. Second Prize: «MESTOR» MESTOR is an integrated smart electronic system for ports, providing on-demand electric energy for ships, using lead-acid batteries. The major advance of MESTOR is the extended life-span of the batteries, reaching a 20-year life span, alongside an innovative rejuvenation system that can increase even more the life-span of the batteries. MESTOR can be combined with renewable energy sources, minimizing the environmental footprint, contributing to the EU target for greener and eco friendly urban landscapes. Third Prize: «ELIMINATORE» ELIMINATORE We are the Eliminatore team. Our business idea is focused on the cleaning of the fish farm nets. More specific we aim to remove a microorganism called algae from the hole of the nets. Our company suggests a new cleaning method more autonomous. So our team is working on that, in order to make that happen. Due to the fact that the sector of aquaculture is on a high rise we are optimistic for the whole project. Recycling yachts is an innovative process of collecting and changing plastic boats by recycling machines. Our mission is to offer a feasible and realistic solution to the end of life recreational craft. The goal is to create this company in the Greek market, where it is non-existent. Fifth Prize: «keeano» Keeano is the 1st search engine for coastlines and beaches around the globe and it provides personalized results for your preferences. It has the ability to characterize a beach with countless attributes and provide the best results depending on your profile and needs. It is a crowdsourced application, so you can add beaches expanding keeano places and helping other users to find suitable coasts in their trips. Travellers like singles, explorers, families, boat keepers, PwDs, surfers, elderly, pet keepers, millennials, LGBT+, surfers and many more can enjoy a perfect day on a coast that fits them entirely. Keeano is free to download for iOS and Android, and aims to become a global integrator for businesses with seaside activity. From statistical analyzes, it was initially found that ships sailing frequently or exclusively in High Risk Areas, may receive more frequent attacks, but they are not usually overtaken by pirates. The analyzes finally showed the obvious: the preparation of these vessels is clearly superior to that of ships that occasionally pass through the danger areas. Preparing, as in the war, plays a crucial role in dealing with any threat. The preparation of merchant vessels is divided into two categories: The first category belongs to the equipment and tools available to the ship. The second category includes procedures and personnel. Our idea is to create a different ship preparation condition through drone equipment that will conduct a long-range inspection round the ship. As long as armed guards are on board, the proposal is intended to give room for the preparation of armed guards, which somehow cover the two ends of the range of violence. The simple presence for deterrence and the (deadly) fire to intercept. The use of closed-circuit surveillance CCTV Drones with motion sensors and monitors will certainly not discourage any pirate, but they can provide information long before we reach the critical moment when pirates will be hauled or not. But the innovation of this service lies in the fact that the drone coverage range is so large that it can cover and relay a signal to stakeholders and patrol forces in the region to provide immediate relief and assistance of pirates, without being exposed to fire. Also important, is that the particular drone, in fact, is an integral part of the ship, since it is connected to it by means of a special wire. This, helps us on the following issues. There is no problem with flight legislation, because tethering drones, constitute a single piece of the ship. Continuous 24/7 operations due to its continuous wired power supply. Seventh Prize: «NESER ENGINEERING» .The System provides a solution for the reduction of fuel consumption and of 5 emission of gaseous pollutants from internal combustion engines. More specifically, the System describes a device and method of converting any internal combustion engine, for both diesel and gas engines, which enables a huge reduction in gas emissions pollutants and also a very large reduction in fuel consumption. Cyan Energy : Cyan Energy is a novel group which combines Green Energy from Renewable Energy Sources with Blue Economy. Its mission is to design and manage a network of offshore wind farms to provide autonomy of Energy to the islands of North Aegean. Furthermore, the group will use Computational Intelligent Systems to process the Energy Portfolio of this Wind Farm Network. of the sea-surface and underwater environment. EnviCraft provides the collection of information about the sea quality and the underwater conditions in real time transmission via 2D and 3D representation and notifies the control center for any infection elements. Envicraft has both the abilities of autonomous navigation and remote control, featuring a collection of sensors that provides obstacle avoidance on a maritime area with increased traffic. The analysis of the collected data is made onboard and then uploaded on a cloud service. When the upload is completed, a graphic depiction is created with the geographical map of the maritime area, the underwater conditions, the depth and the output of the data pollution analysis. EnviCraft benefits the service users with the environmental protection of the surrounding area of marinas and ports, the localization of pollutants on the sea-surface and seabeb and real-time supervision of the specified area . Destination Challenge: The objective of the “Destination Challenge” is to enhance cruise passengers’ onshore experience through providing a blending of cultural activities and local production consumption activities, linked through a treasure hunt game. Nereus Team : Nereus builds autonomous control system to upgrade the operation of existing or new build marine vessels. Our system improves productivity, efficiency, and safety in hazardous environments. Nas Team : e log-books :Functional management and automated log-books fill-in. Seagulls Team/ RouteMar Our idea, RouteMar is based on Data gathering and Analysis of information that already exists on a ship, such as way points, weather forecasts, contact details, obligational reporting to specific stations, sensor indications, navigational warnings and navtex, in order to better monitor and understand the performance of the engine of the ship, as well as its characteristics and its overall condition. Information will be gathered in high frequency, so Analysis will be a dynamical process, available on board and on shore. Parameters will be monitored in real time and as a result, they will be adjusted accordingly. achieve better energy and operational management. There is going to be a full statistical analysis of a ship, which can also be available to charterers. Better monitoring of ship’s performance can lead to more effective analysis and planning which can conclude to better exploitation of the fleet! At least that’s what we are beginning with! Dockers Team: Our solution is a predictive analytics platform for machinery failures. Gathers several vessel performance related data as well as machinery data from spare parts and/or sensors and predicts when a machinery will fail. It is a web based decision making tool for companies that manage vessels. Trash Power: Trash power, which has provided a solution to marine transportation of waste from islands in specially designed containers and has been touted as a means of balancing ship capacity coverage while facing asymmetrical demand. Enaleia, the first fishing school in Greece, has made some crucial steps during the past year by introducing a breakthrough in the training of fishermen in Greece. After opening its gates inFebruary the 6th of 2017 it has managed to train over 20 people on professional fishing and helped them enter this sector. Additionally to that , Enaleia formed the first e-learning platform for professional fishing so that it can reach even more people from all over Greece. To conclude with, Enaleia also managed to train 30 fishermen in Greek islands on sustainable ways of fishing. All of these were made on the first year of running and there is more to come! 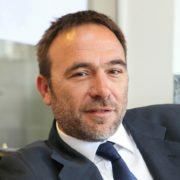 Interview by Petros Kokkalis head of BlueGrowth Piraeus Initiative. What is «Blue Growth» at first glance? the regional economic development. The process is undertaken by the BlueGrowth competition, which has been held for the third consecutive year and is one of the most successful initiatives to promote start-ups not only locally but also with international appeal. This is also confirmed by our distinction in the European URBACT III program entitled Good Practice Call. The proposal of Piraeus Municipality for the BlueGrowth Initiative competition was chosen among the 270 proposals and Piraeus was awarded the title “URBACT Good Practice City “. The fact that results have started to become measurable, is one of paramount importance for the BlueGrowth initiative. The competition was the springboard for 20 companies, which in turn created 60 new jobs. It is also very important that more than 35 events in this community have been held in the last two years, involving more specified audiences such as “open data and maritime economy”, tourism and innovation. All these events have contributed towards strengthening this relationship. “Blue Growth” represents for us, everything that we envision for the development of Piraeus: Innovation, Extraversion, Entrepreneurship centered on the sea, with a steady look towards the sea. This is where the development abilities are, with shipping and tourism as their main axes. This year, BlueGrowth is evolving and maturing even further, ensuring quality in both the selection of the submitted proposals, as well as the interactivity and directness of the candidates’ communication with the mentors and board members of initiative. Our aim is to make the day after the competition, the beginning for a new concept, which could encapsulate the essence and true meaning of Blue Growth: originality, creativity, innovation, and collaboration. Blue Growth, among the Aephoria team and the pool of Mentors will be available for addressing the needs and challenges of our participants. We are committed to be present and supportive until the transformation of the “seed-idea” into an established, future, strong stakeholder of the Blue Economy. Our vision is Piraeus to become a modern shipping cluster where shipping companies, start-up innovative companies, academic community, research institutions and the whole commercial, craft and industrial world of the city will interact and cooperate.